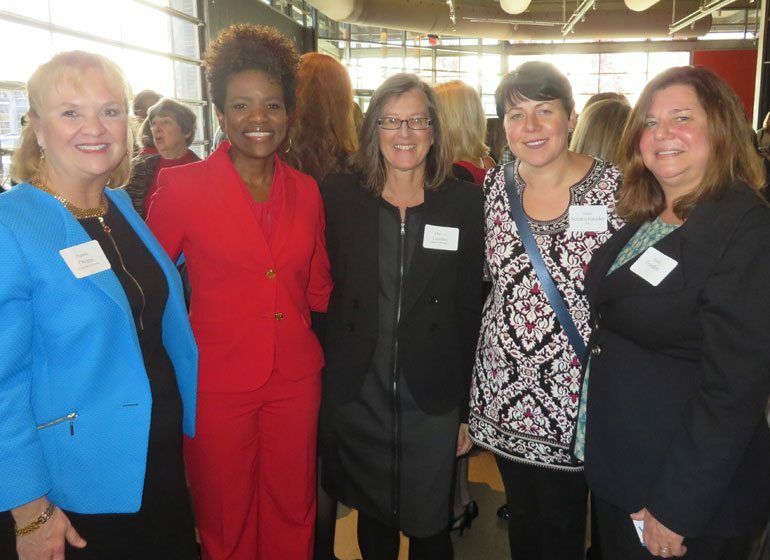 The Women’s Fund of Greater Milwaukee hosted an event yesterday to celebrate the 45th anniversary of Title IX, the 1972 federal law prohibiting gender discrimination within all federally funded educational programs or activities. Keynote speaker Donna Orender, CEO of Jacksonville, Fla.-based business consulting firm Orender Unlimited, spoke about her experience playing for and leading the Women’s National Basketball Association and serving as the senior VP of strategic development for the PGA TOUR. As a Title IX advocate, Orender said the unequal perceptions of and support given to male and female athletics in the United States needs to change. Following Orender’s speech, the event honored 14 women who were named by local organizations as Title IX Athletes- individuals who supported or participated in athletics to develop their education, career, or leadership skills, or those of other women.